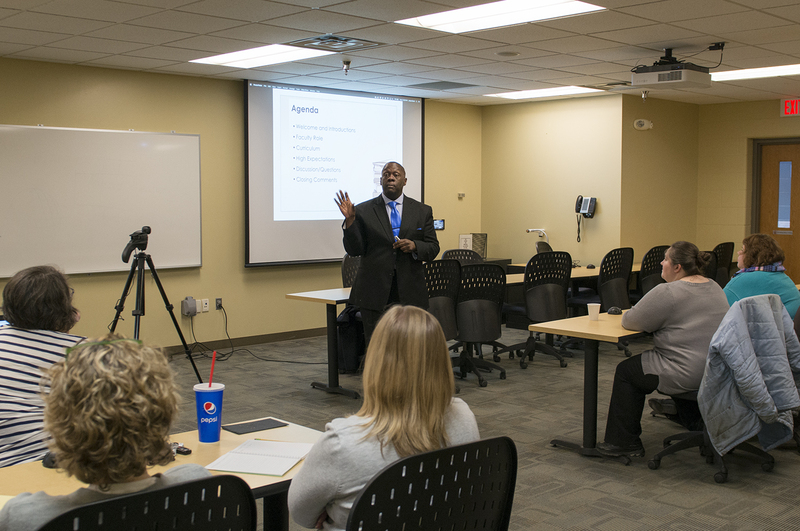 Dr. Jesse Grant speaking at the professional development workshop. Attendees of the professional development workshop. 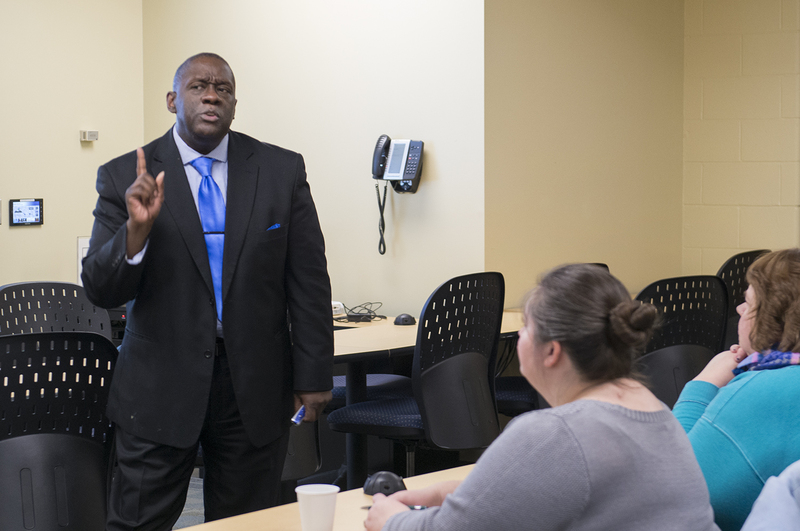 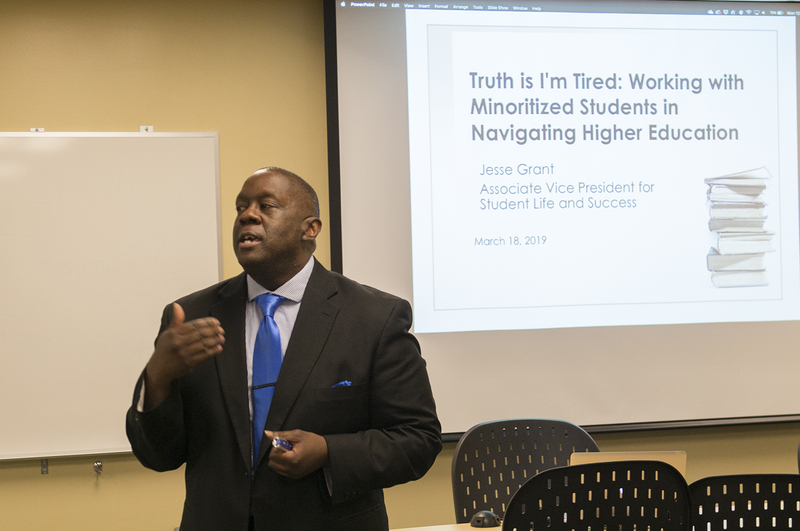 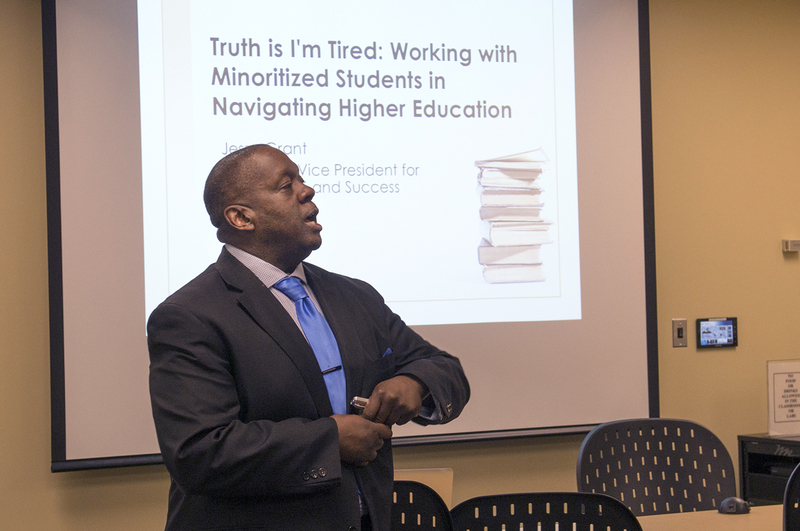 The Northwest Technical College Diversity and Inclusion Committee hosted a professional development workshop led by Dr. Jesse Grant, associate vice president for student life and success, entitled “Truth is I’m Tired: Working with Minoritized Students in Navigating Higher Education” on March 18. 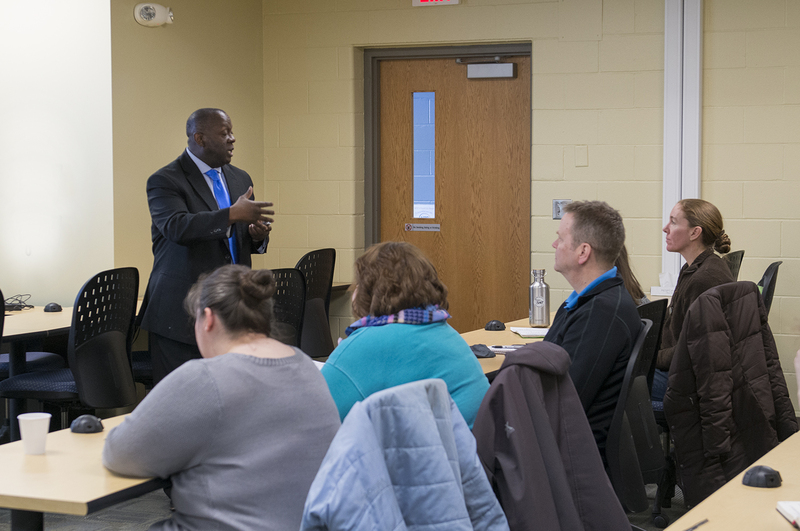 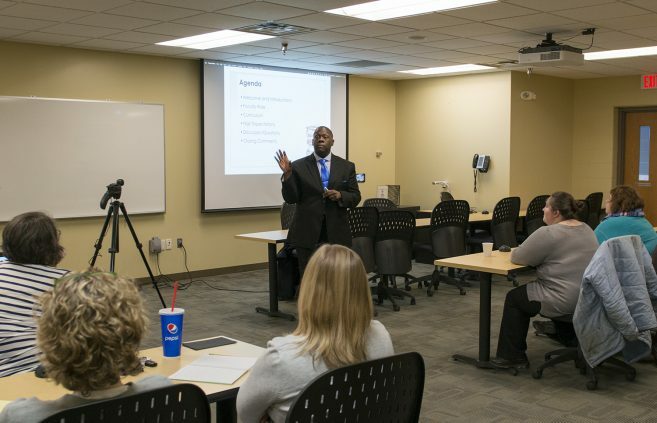 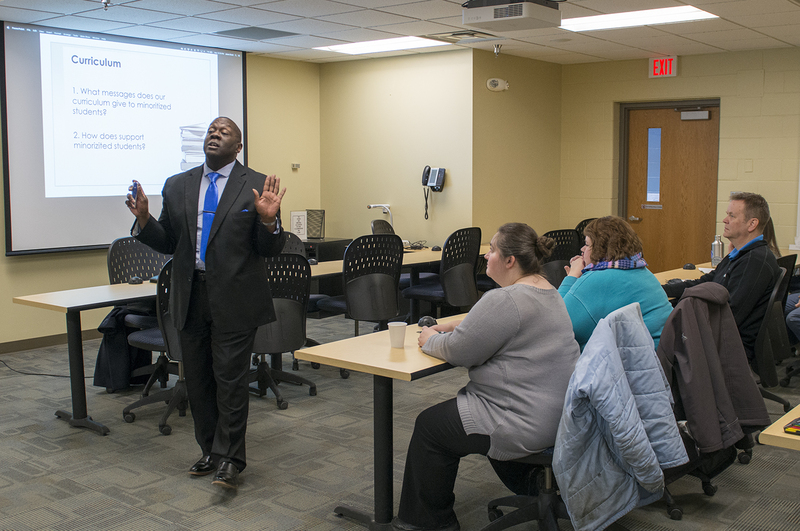 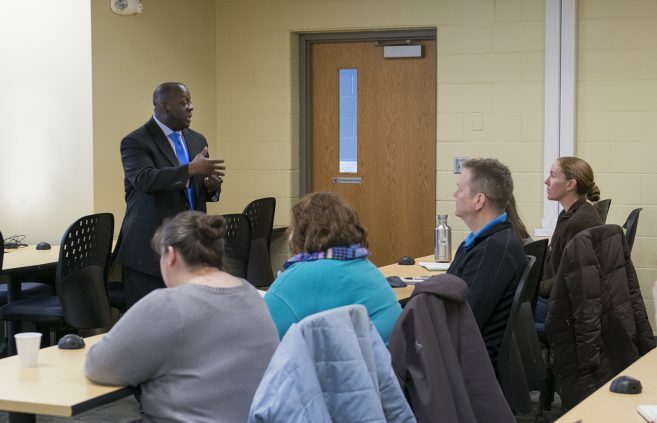 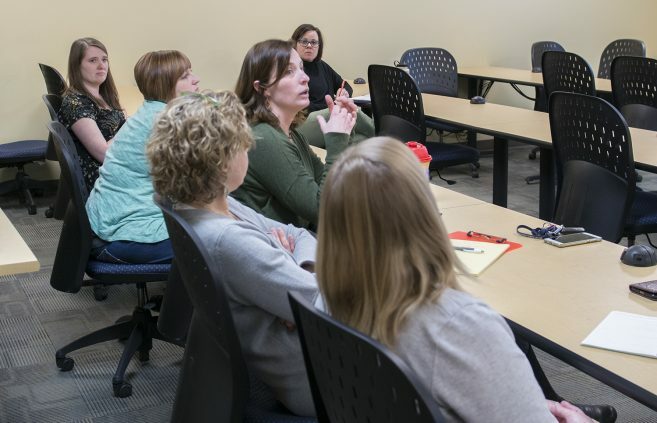 Faculty and staff from NTC and Bemidji State University addressed issues that racially minoritized students experience in the classroom and discussed how to improve those conditions. 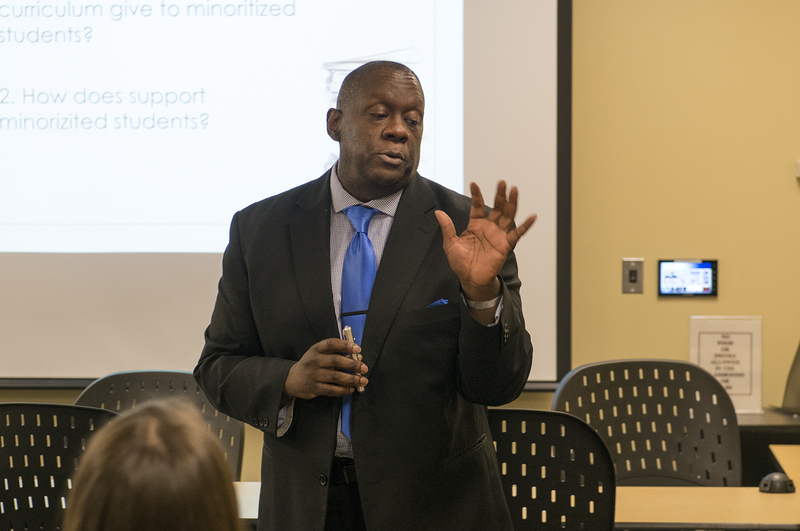 Grant emphasized the critical role of peer groups in a student’s success and challenged attendees to think about ways to support students both inside and outside of the classroom.